You guys may have noticed a new look to the blog recently! If you didn’t notice, you need to go see an optometrist right now! It’s been a low key release, but I’m proud to present the brand new Table4 blog and semi-new logo! Woohoo!! It was a pretty quiet launch so I could make sure all the kinks were worked out before making the official announcement. 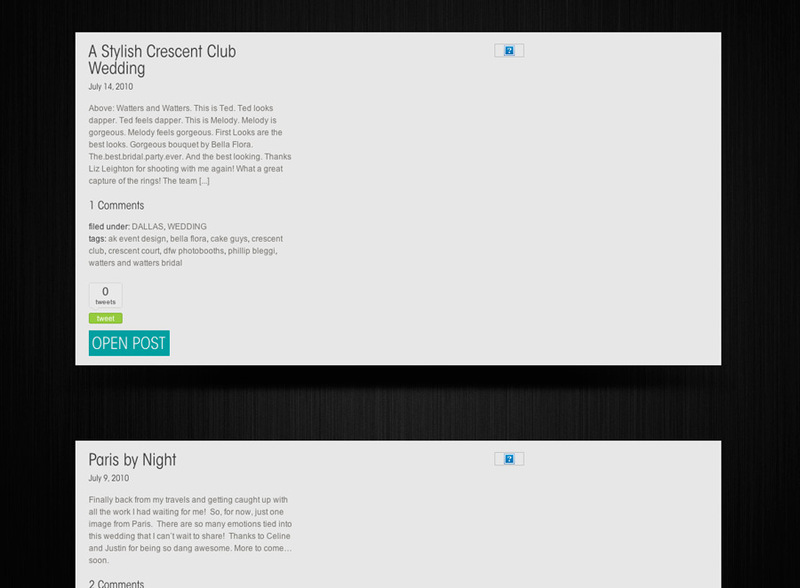 But after 3 or 4 posts on the new blog, I think everything looks pretty good!! (Let me know if you guys find any typos or non-working links!) There are still a bunch of features I want to add, but for now, I’m happy with the look and feel. Hope you guys like it too! Ok, enough rambling! Here’s a preview from this past weekend’s wedding at St. Thomas Aquinas Church. Going through the images, I was trying to decide which one to use as the preview and I chose this one because I remember the moment was really special. To explain, this was right before Cynthia walked out to see Arturo on their wedding day. After I set up Arturo, I went and got Cynthia and she told me she immediately became nervous, But from this photo, I see excitement and anticipation as she’s about to step outside to be seen in her dress by Arturo for the first time. Maybe it’s just me… =) Congrats guys!